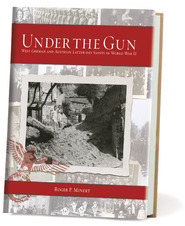 Mormons in Eastern Europe found themselves mercilessly caught at the center of political and social turmoil during World War II and its aftermath. 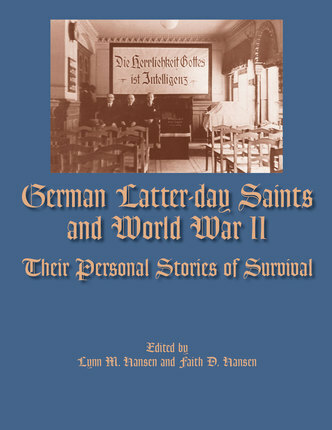 This book is a completely new collection of first-hand accounts by German and other Eastern European Latter-day Saints who suffered unbelievably brutal trials and lived to tell their stories. These personal statements, gathered and translated by Lynn Hansen, are humbling: "Mama always said, 'Go to bed, then you will not feel the hunger.'" "We stumbled around in the dark forest with the others." "A fire bomb fell into the bunker and we had to get out because there was so much smoke. As we came out, we saw the entire city on fire." Despite having their homes bombed and their lives shattered, and despite having to struggle for survival in frozen forests and on foreign streets, these Saints clung to their faith. Their vivid memories and poignant testimonies convey this through and through. Often, prayer was their only ally. Though the individual stories of these many Saints are varied and diverse, they all echo a common theme: "Our Father in Heaven was accompanying us." The true treasure of these stories is the lesson that faith and testimony, obedience and faithfulness will bring blessings from heaven. As one survivor puts it, "The gospel is true. The priesthood of God exists, and we have been mightily blessed in the Church, in our families, and also materially in having what we needed to sustain life." These real-life experiences build faith despite despair, offer hope amidst peril, and champion charity in defiance of hate.